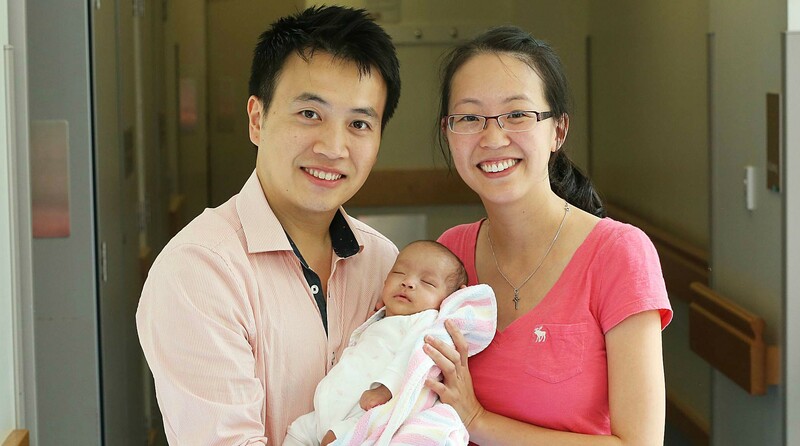 Parents Owen and Vivian had their baby at Westmead Hospital. For the first time, mums and dads have the opportunity to shape the future of maternity care by sharing their experience, ideas and expectations of pregnancy, birthing and postnatal health care. The online survey launched today targets women and their partners, who have had a child or have been pregnant in the last 10 years, or are planning to start a family. NSW Health Deputy Secretary Dr Nigel Lyons said the ultimate aim is to focus on what is most important to women and their partners in their maternity care and to ensure that these aspects are reflected in the delivery of maternity services across NSW. “We want to make sure that women are supported to make choices about their maternity care with evidence-based and unbiased information,” Dr Lyons said. The survey questions cover aspects such as planning a pregnancy, shared decision making, models of care, and the role of maternity care in giving babies and their families the best start in life. “In the past, women have expressed their interest in accessing maternity services that provide continuity of care and we want to hear more about the support they need,” Dr Lyons said. The results of the survey will be used to update NSW maternity care policy. The policy ‘Maternity – Towards Normal Birth in NSW’ was introduced in 2010 and is currently under review. After the survey closes, there will be further opportunities to contribute through consumer and clinician workshops held between at the start of 2019.